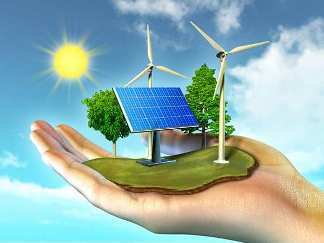 Taking The World Towards A Renewable And Green Energy!!! We have started our business with a single goal that was of to help accelerate the growth and adoption of solar power systems across the world not only for its obvious environmental benefits but also for the economic benefits available to our residential and commercial customers. Our world-class leadership team has unparalleled solar business and energy industry experience. Together with our talented, forward-thinking employees, they’re driving innovation in the business of solar. Further, in order to meet all the solar needs under one-roof, Grace also propounds a range of Solar Power Inverter, Solar module mounting structure, wires & cables, sharing identical quality and consistency. Our aim is to make solar power for homes, businesses and schools a viable, affordable option for hundreds of thousands of people across India. Quality is the core of our business whether it be the solar products we source, our installation process or the service we provide to our customers. And we consider this to be an essential pillar of our company in achieving our goal to be a global solar leader. At grace renewable energy we keep the customers at our center of our attention with a never ending focus on providing them as best as possible. we don’t miss any opportunity available to build our trust and earn the respect of our customers. Team work is the key to the success. The company has built a team of highly qualified individuals. This notion of teamwork extends from the management team down to each employee and on to our customers, suppliers, partners and investors who seek to strengthen the solar industry as a whole. Our company firmly maintains the highest standard of Trustworthiness in all of its business relationships and works with international business partners who shares these views. Grace renewable energy is committed to the outcomes we aim to achieve. We commit to deliver market-leading prices for our customers by growing a value-creating business. Grace renewable energy is the full service provider for solar panel installation with everything you need to light up your home with clean and green solar energy. We will oversee your entire solar panel installation project. Our experience engineering and installing high quality solar power systems for homes and our uncompromising service have made us an industry leader. For most of our customer i.e. residential or commercial the roof is the best location for solar panel installation. Because roof already has the structural specifications that the solar panels require. If the roof is not applicable or desired, various other mounting options are available, including shade awnings or ground-mount options. With each passing day electricity is becoming more and more expensive. And day by day more and more people are taking interest in solar energy to meet their electricity needs. Power cuts and DG sets is making think people think about any other resource so Solar PV panels are a good choice. 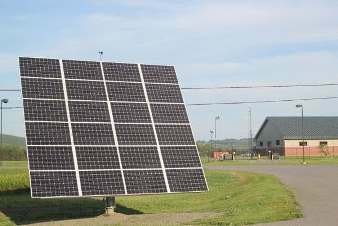 We are well known for providing a wide range of solar panels at affordable range with best quality. There was an era when only the wealthiest homeowners could afford solar panels. But today anyone can buy it as it is costs 10% less than before and it’s a life time investment. When it comes to making the choice on which panels to buy than, it is important that the most affordable doesn’t means most cheapest. A solar array might cost more at the start, but better efficiency might mean that it produces more and longer than other panels, making it a smarter and a more “affordable” investment in the long run.